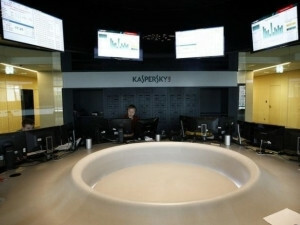 There are fears Kaspersky's products could be used by the Kremlin to gain entry into US networks. The Trump administration yesterday removed Moscow-based Kaspersky Lab from two lists of approved vendors used by government agencies to purchase technology equipment, amid concerns the cyber security firm's products could be used by the Kremlin to gain entry into US networks. The delisting represents the most concrete action taken against Kaspersky following months of mounting suspicion among intelligence officials and lawmakers that the company may be too closely connected to hostile Russian intelligence agencies accused of cyber attacks on the US. Kaspersky products have been removed from the US General Services Administration's (GSA's) list of vendors for contracts that cover information technology services and digital photographic equipment, an agency spokeswoman said in a statement. The action was taken "after review and careful consideration", the spokeswoman said, adding the GSA's priorities "are to ensure the integrity and security of US government systems and networks". Government agencies will still be able to use Kaspersky products purchased separate from the GSA contract process. In a statement, Kaspersky Lab said it had not received any updates from GSA or any other US government agency regarding its vendor status. "Kaspersky Lab has no ties to any government, and the company has never helped, nor will help, any government in the world with its cyberespionage efforts," the company said. It added it had been "caught in the middle of a geopolitical fight where each side is attempting to use the company as a pawn in their political game". The delisting was done the same day ABC News reported the Trump administration was considering implementing a broader ban that would block agencies from using Kaspersky software. Last month, the Senate Armed Services Committee passed a defence spending policy Bill that would ban Kaspersky products from use in the military. The move came a day after the FBI interviewed several of the company's US employees at their private homes as part of a counterintelligence investigation into its operations. In May, senior US intelligence officials said in testimony before the Senate Intelligence Committee that they were reviewing government use of software from Kaspersky Lab. Lawmakers raised concerns Moscow might use the firm's products to attack American computer networks, a particularly sensitive issue given allegations by US intelligence agencies that Russia hacked and leaked e-mails of Democratic Party political groups to interfere in the 2016 presidential election campaign. Russia denies the allegations.